InterVarsity Press (Formatio) is teaming up with us again to offer you a chance to win a copy of Crafting a Rule of Life for a friend AND two additional FREE BOOKS for your summer reading. 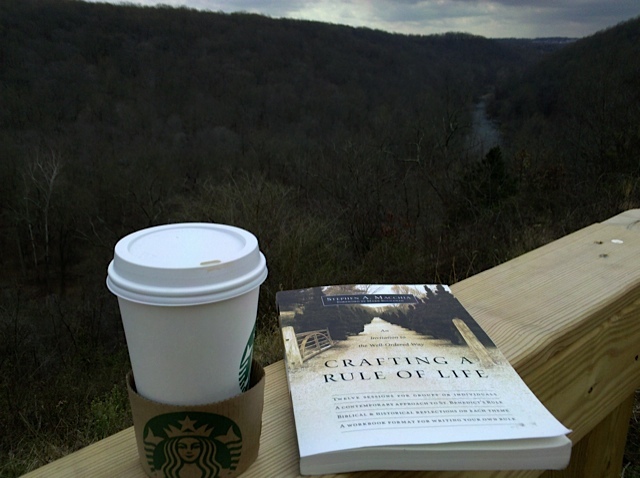 We are asking you to take a photo of wherever you find yourself working on Crafting A Rule Of Life. (The above image serves as an example). Be creative and WOW us with your unique journey! Whether it be Bermuda, Bali, or Bruegger’s Bagels, take a photo and upload it to Crafting A Rule of Life’s Facebook Page. This contest will run through June 30 and a winner will be selected and announced over Facebook. The free books will be mailed shortly thereafter so enter now!! !